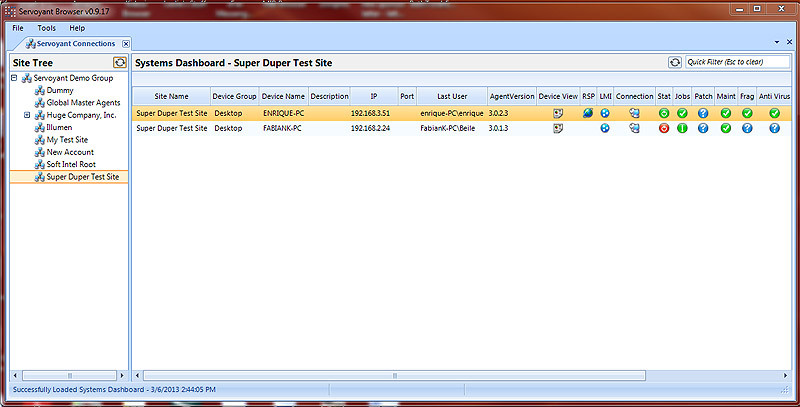 The first 3rd party application based on the Servoyant API, Servoyant Browser 1.0 is an alternative interface for users who prefer the speed of a Windows client. Servoyant Browser is a 3rd party add-on for Servoyant, co-developed in conjunction with Index eBusiness in Eurpoe, that's geared towards providing an alternative interface to Servoyant for users who prefer the speed of a Windows client. While it provides limited functionality as compared to the full Servoyant web interface, it is a perfect tool for technicians who primarily function in a helpdesk or end user support role. The Servoyant Browser is available FREE to Servoyant users. The Systems Dashboard is presented almost identically to the one within Servoyant. The dashboard indicators will appear representing the state exactly as it displays in the Servoyant console. Click Tools/Options to access to optional settings for the Servoyant Browser. If this is unchecked, the root context will only display devices actually installed in the root. If this option is enabled, all devices residing in any of the child sites will display on the dashboard. Enabling this option will limit the Quick Filter/Search option to only search the active context as opposed to all sites in the view. 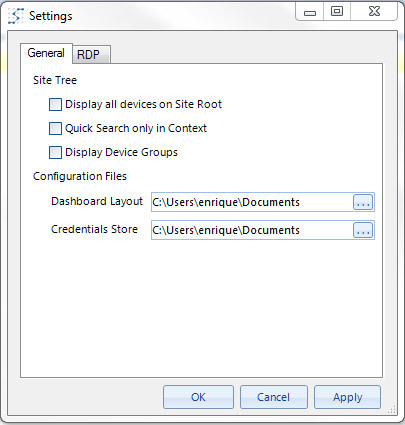 Enable this option show the device groups as defined in Servoyant in the Site Tree. 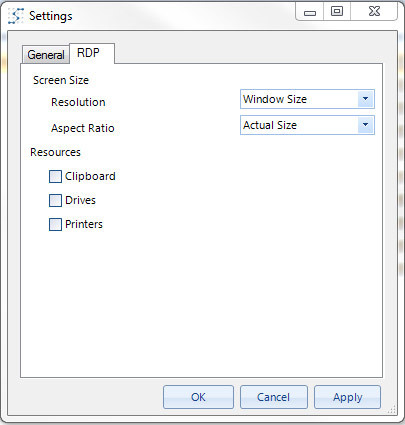 Click on the RDP tab of the settings to configure options for RDP connections to devices. Servoyant, LLC. is a leading remote monitoring and management (RMM) platform that unifies network monitoring, management, automation & reporting into a single, intuitive platform. Servoyant is offered as cloud-based (SaaS) or an appliance, can coexist on existing equipment, and dedicated hardware is not required. With a quick signup process, rapid deployment, provisioning templates and automated discovery, administrators can remotely manage and monitor an entire network in minutes. Index eBusiness Ltd www.indexeb.co.uk is part of the Index Group of companies, a wholly owned private limited company that has traded for over 32 years and under the current owners for the last 14. We provide a comprehensive range of services including Support Services, Website Design and vast array of Hosting services through our sister company HOST100 including Managed Hosting, Dedicated Servers, Server Co-Location, Global Domain name and e-mail services to the SME market. 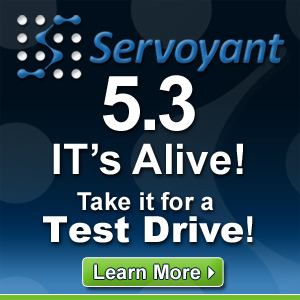 Servoyant Version 5.3, IT's Alive!